Neida Sandoval is one of the most beloved personalities in Hispanic broadcasting in the U.S. and Latin America. With over 30 years of experience, the acclaimed journalist, born in Honduras, is known for her determination, charisma and transparency, both in her profession and her humanitarian efforts. The two-time Emmy winner and recipient of the National Congress of Honduras’ “Grand Comendador” prize was the first Central American journalist to become a national news anchor for Univisión, the #1 Hispanic network in the U.S. She became a household name during her 15-year tenure on the top rated morning show, Despierta América. 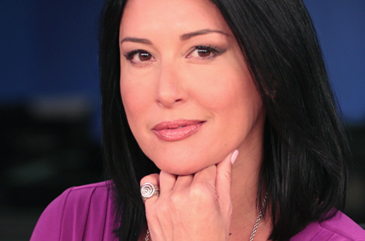 She currently has her own radio show on W Radio 690AM in Los Angeles, and she also leads a team of renowned journalists for GLR Network’s Minuto 60, a “headline” newscast which is distributed across the U.S. She recently joined MSN Latino as an expert columnist, discussing the themes of family and lifestyle. METROPOLITAN is the “must hear” band hailing from the Dominican Republic, bringing a new and contagious sound to the Latin world. The power trio that makes up the band – vocalist/songwriter Panky, drummer/composer Luinis and guitarist Carlos - is the perfect combination to produce hits. 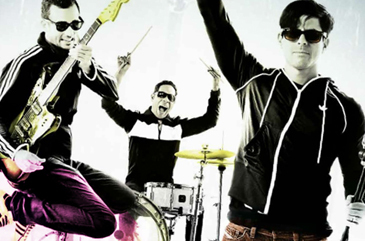 Their debut album titled Pop Deluxe is a pop-rock collaboration with a retro edge. Their music videos have been on rotation throughout the U.S., Caribbean, Latin America, Mexico and Spain – seen on MTV & HTV. The video for the album’s fourth single; Boulevard, which is currently on rotation, continues to garner attention from the Hispanic and international media. Furthermore, the band is the image for the ADIDAS brand in Latin America, which is used extensively throughout retail stores. 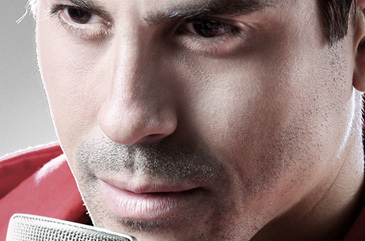 METROPOLITAN’s front man Isaac “Panky” Saviñón has a dazzling career as a TV and radio host, which has made him an icon in his country, the Dominican Republic. This talented vocalist is the face of the Latin American campaigns of many world renowned brands such as PEPSI, BRAHMA and ADIDAS. Panky is the first Latin star to be named Ambassador for MTV’s “Staying Alive Foundation.” His efforts to educate youth about AIDS have also led him to become one of the faces of MTV’s “Numbers Campaign,” a captain for the Miami AIDS Walk for two consecutive years, as well as speaking engagements at various events, such as the annual Cielo Latino Gala in NYC. Edna Schmidt is recognized for her versatility, professionalism and dedication during her 20 years as a journalist, news anchor and correspondent in the U.S. Hispanic market. Originally from Puerto Rico, Schmidt’s career developed on the largest Hispanic networks in the U.S. - Telemundo, Univisión and Telefutura. Schmidt has covered various historically significant events such as: The 9-11 terrorist attacks in New York, Oklahoma City bomber Timothy McVeigh’s Execution in 1995 and two FIFA World Cups – in Chicago and South Africa. She’s had exclusive interviews with President Barack Obama on Latin America issues and was invited to Washington D.C. to moderate a panel on the swine flu crisis. Schmidt is also known for her elegance and impeccable fashion sense while presenting the news, which has made her a woman to watch.